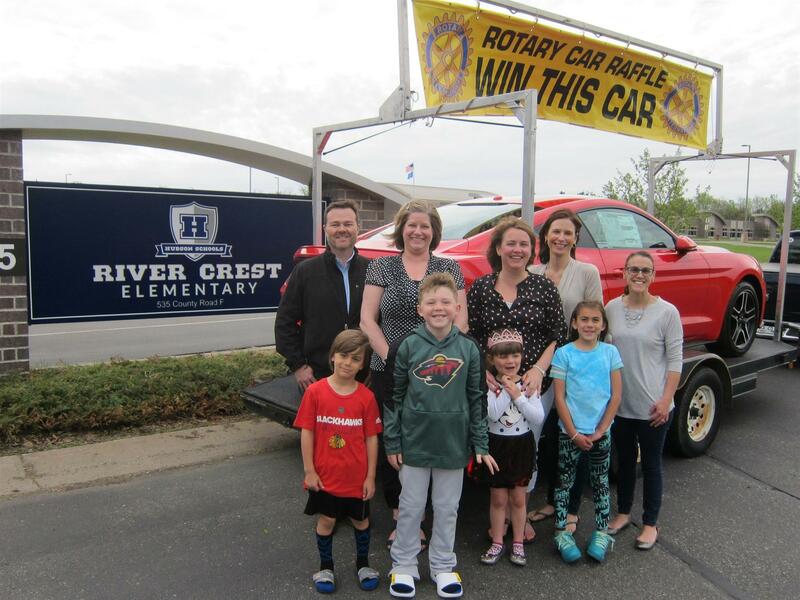 What truly makes the Car Raffle so successful is the support from the entire Hudson Community. One of the top goals every year is to identify the recipients of the car raffle funds before we sell our first ticket. So many local businesses step up and support this great effort to enable the Daybreak Club to commit in advance each year where the money is to be donated. This year $5,700 has been committed to the River Crest Elementary in conjunction with River Crest PTO for the outdoor classroom project. An additional $4,200 has already been committed to the Girls Youth Softball Field Updates. One of the most frequent areas to find the Mustang is with the Club’s partners and friends at County Market. Many nights and weekends, the community can visit members of the Daybreak Rotary Club who are outside selling tickets. The team at County Market goes above and beyond as their staff continually sells tickets at the customer service desk throughout the season even when Rotary members cannot be present outside the store. Over the years their team has sold thousands of dollars in tickets. Daybreak is blessed to have many great partners in this project, in the end none of this would be possible if it wasn't for our great partners at Hudson Ford.